The season of heavy discounts is now back for Indian e-commerce; and going by the looks of it, it seems it will be the most aggressive discount season to date. Both Flipkart and Amazon India has locked horns over this discount period, and both have announced massive discounts for electronics, apparels, books and more, with as extreme as 90% discounts being offered. For Flipkart, 2017 is a special year, as they complete 10 years in the industry. And for this special occasion, they have launched a special bidding based discount extravaganza. Their bidding based offers seems a direct result of their eBay India acquisition. Between May 14 and 18, Flipkart will conduct their ‘Big 10 Sale’ festival, to mark their 10 years in the industry. Starting May 8th, Flipkart has also launched a bidding based sales extravaganza, which will run till May 14th, which is the last day of Big 10 Sale period. Under this offer, registered, 18+ customers of Flipkart can bid on the products on display, and if their bid is the lowest, they can buy the product. This ‘bid period’ will last between 00.00 hours and 23.59 hours of every day, during which the bid can be made. Winners of the bid would be announced 12 hours after the bid period for a particular day ends. Here are the terms and conditions of the bidding offers. 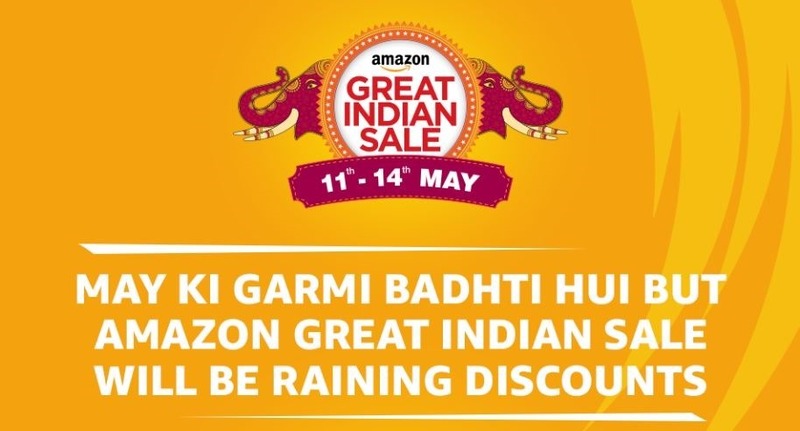 Not to be outdone, Amazon India, which is Flipkart’s biggest competitor in India, has announced their own ‘Great India Sale’, which will happen between May 11 and May 14th, which is right before Flipkart’s sale period. They are claiming to offer upto 60% discounts on mobile phones, electronic gadgets, appliances, life style products, books and apparels. Besides, they have also announced 10% – 15% cashback for Citibank customers, and various vouchers which can be availed while shopping.. Which portal will you choose while shopping this summer season? Do let us know by commenting right here!